Predict the dynamic response of rotating systems such as shafts, turbines and propellers. The field of Rotor Dynamics is concerned with study of dynamic and stability characteristics of the rotating machinery and plays an important role in the improving safety and performance of the entire systems that they are part of. As the rotational velocity of an object increases, its level of vibration often passes through a ‘critical speed’, commonly excited by unbalance of the rotating structure. If the amplitude of vibration at these critical speeds is excessive, catastrophic failure can occur. Internal makeup of turbomachinery can lead to such instabilities, which need to be understood to avoid catastrophic failure during operation. Engineers who design large rotors are challenged to design safe rotating machinery using physical prototypes and tests alone because of high costs and time requirements. 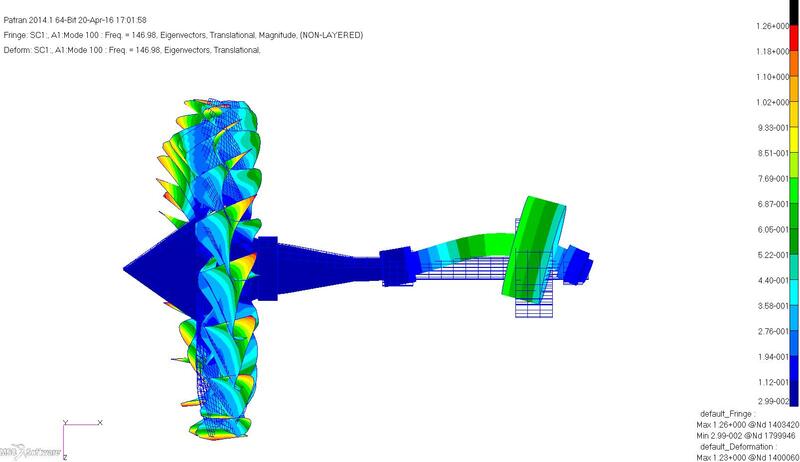 MSC Nastran Rotor Dynamics provides a highly accurate and reliable rotor dynamics solution that enables engineers to simulate the behavior of rotating machinery. 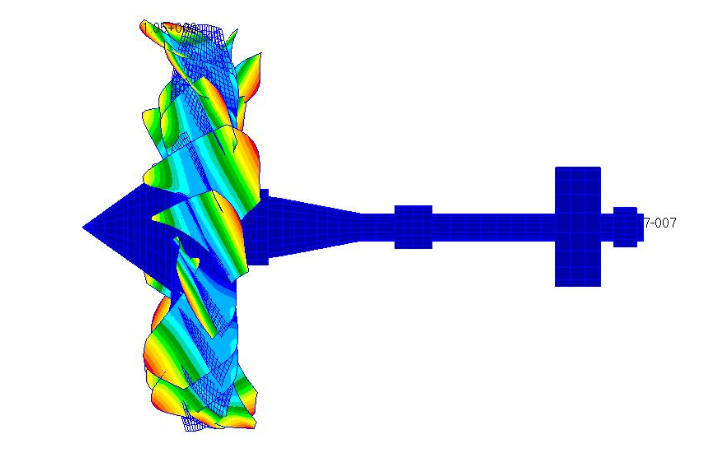 Using MSC Nastran, engineers are able to predict critical speed and evaluate the effects of instabilities on virtual prototypes, saving time and money while improving safety.